In today’s world most of us are on social media throughout the day sharing selfies, group pictures, videos, and many personal moments. It’s great to see friends and family share their moments of happiness but I was reminded today that social media can be much more! Today is CML Day. 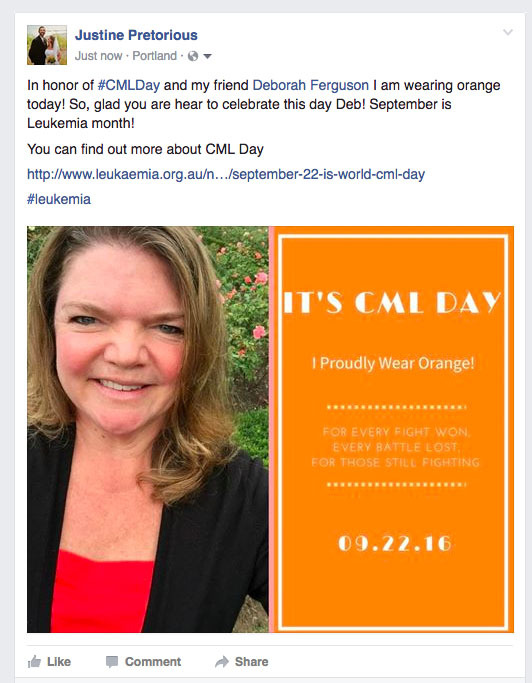 CML stands for Chronic Myeloid Leukemia and I learned about this through my friend Deb on Facebook. She shares this information because it is near and dear to her heart. 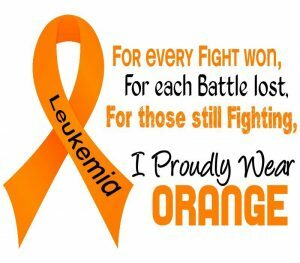 She is a CML survivor! She is one of the many people in this world that this has effected and I am glad she is here to celebrate! I will say it again “Social Media Can Be Much More”. Social media is a communication tool that can help others. It can help inform you of topics you might not have known about before. Knowledge is power. What a simple but powerful statement this is. Social media is a very helpful tool in spreading knowledge. Sometimes knowledge inspires us to act. Whether it’s to do the ALS Ice Bucket Challenge to raise money for research or if it’s just to support a friend by posting a selfie in the designated color of the day to spread awareness. 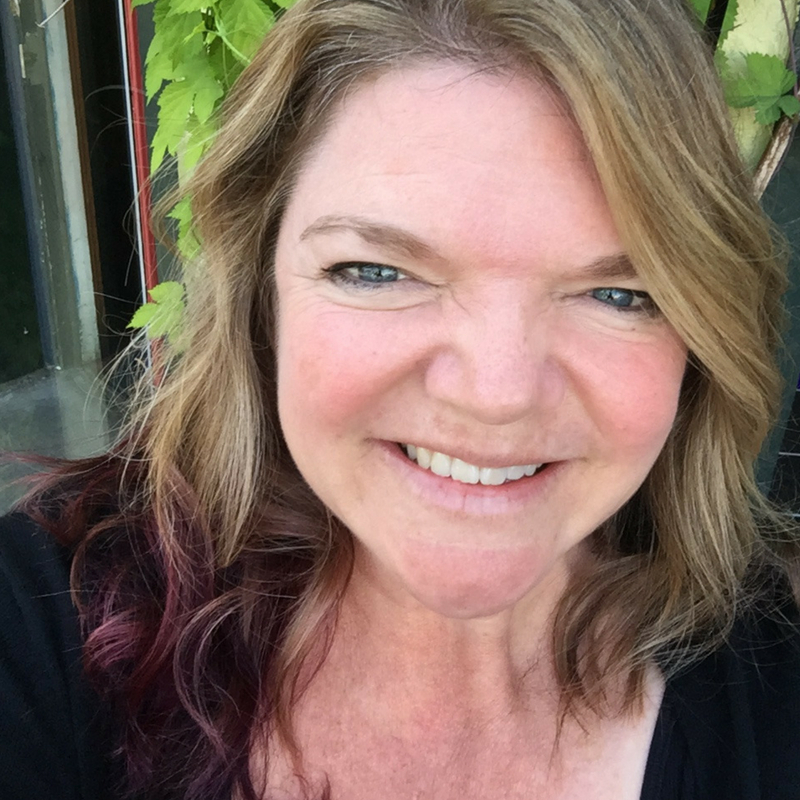 I am all about sharing knowledge that is helpful to others. By sharing and participating on social media you are making a difference. The next time you are on Facebook, Twitter, Instagram or whatever the latest social media channel is, pay attention. Read the posts from your friends and family. Share their posts or create your own on their topic. They will appreciate your support in helping them share their message. I’ve always believed social media can be much more and I would like to think I am a part of that. Are you?